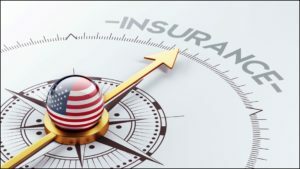 This article, slightly updated below by the original author, was first published by our friends in Ranger Up’s Rhino Den. You can check out the original story, and view other great content from the Rhino Den, here. I don’t go around seeking hidden meaning in cartoons, but sometimes inspiration strikes. It will probably take about as much time for you to read this description of the video I’m talking about as it does for you to watch it yourself, but here goes. 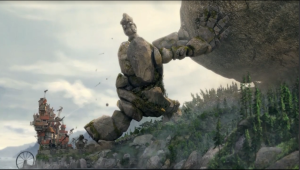 In a brilliantly animated short film titled “A Tale of Momentum and Inertia” featured in The Atlantic , a stone giant is minding his own business and going about his day before suddenly realizing that an enormous boulder he has just moved is now hurtling toward a quiet seaside medieval village. Whether the boulder started down the hill due to the giant’s own actions, an act of God, or the machinations of some unseen force is unclear. Nonetheless, the giant decides to act. Through a series of exertions, the giant ultimately stops the boulder from destroying the walled village, but one structure, a place of worship, is accidentally toppled when it is stuck by the giant’s foot. This prompts the people of the town just saved to launch all manner of weapons at the giant, who is still in the process of holding the boulder back. The weapons (including stones from a trebuchet, ballista bolts, and even the odd cannonball or two) do not appear to be causing the giant a great deal of harm, but the intent behind them is clear: the people of the village want the giant dead. Ultimately the giant, clearly annoyed about being attacked while he prevents the utter destruction of the tiny town, simply stands aside and allows the boulder to flatten the entire place. The video ends with the giant walking away, looking back with disgust at the pile of rubble. Interpretation is in the eye of the beholder, and reasonable people will disagree over their interpretations of this video. Some might see the whole situation as the fault of the giant; if hadn’t been moving boulders for his own purposes in the first place, none of this would have happened. Some might see the giant as a murderer; he could take the stones and arrows that were being flung at him from the ingrates in the village, and by choosing to let the boulder go, he is guilty of killing all of them for choosing not to act when he could have saved them all. Why do we allow ourselves to be the “Nationwide” of the world? …and then there are the people like me. In my interpretation of the video, the United States of America is the stone giant. In going about our daily lives as a nation, we somehow feel responsible for everyone and everything and will go to extraordinary lengths, including directly imposing ourselves between disaster and the helpless, to save others. Yet, like the giant, we are consistently attacked as a result of our good intentions. We have not only somehow become the world’s conscience and policeman, we are the world’s insurance policy. This is a policy that no one feels obligated to pay into, but everyone wants to draw upon in times of crisis. We have let ourselves become the Nationwide of the entire world.